Developed in the United Kingdom for the upliftment of the students in the field of computer science, Raspberry Pi can be placed in the category of a development board as well as a single board computer. The initial purpose of a raspberry pi was to just promote knowledge about computer programing and some basic skills about hardware and software but later on, an unexpected response was seen from people in the field of robotics. Started in the year 2013, the first model was the so much popular that it made raspberry pi the most sold British made the computer. There was an estimate of 11 million units sold by 2016 and an approximate of 15 million of the same by the year 2017. A fun fact about raspberry pi is that they are manufactured by the tech giant Sony. Till date, many models of the raspberry pi have been released but the things common in them were the central processing unit(CPU) and the graphical processing unit(GPU). These single board computers have an onboard RAM (random access memory) ranging from 256 megabytes to 1024 megabytes. Along with the random-access memory, there is a slot for the microSD card on which the operating system and the programs written are stored. Along with the SD card slot, there are a number of other ports and pins on the board. There are a number of USB ports on the board that help in connecting the mouse and the USB keyboard with the same. Along with the USB ports, there are a lot of general purpose input output pins on the board, a 3.5 mm audio jack that that help us connect the different kinds of peripherals available in the market. The first-generation models had a Broadcom processor and a GPU along with a small amount of random access memory but with time and advancement in the technologies, the specifications of the same also increased with the random-access memory increasing from 258 megabytes to a whopping 1 gigabyte. The latest raspberry pi 3 comes with a quad-core ARM processor that is said to be ten times more powerful and faster than the original raspberry pi model. There has been seen a significant improvement in the performance when parallel tasks are being performed and this is mostly due to the task threading is done by the board. There are a lot of peripherals that can be attached to the raspberry pi, for instance, a camera which could have various applications from surveillance to entertainment. An Arduino board shield that helps us connect the Arduino if we want some other applications from the board as well. There are provisions for other peripherals like a modem, WIFI module, Bluetooth module, various types of sensors and the list goes on and on. One shocking feature of the raspberry pi board is that they do not have a real-time clock in the system and this results in they not being able to keep a watch on the time of the day. We can see the time in the same with the help of network time server. To improve this condition a bit, the time at which the pi is shut down is noted by the board and when it is restarted, the time is then continued. For this application, there might be a need for an external battery of the size of a button. From all the data that is in the above article might make it look that it is such a complex thing to run. Most people think that running the thing is so complex, just imagine about programming in the same. But it is not like that because making small projects or even some of the complex ones are quite easy if followed the instructions properly. Raspberry has made specially dedicated videos that cater to the specific needs of the people. There are lectures on object-oriented programming, there are lectures on the internet of things and many, many more specific topics that people want to apply in the raspberry boards. 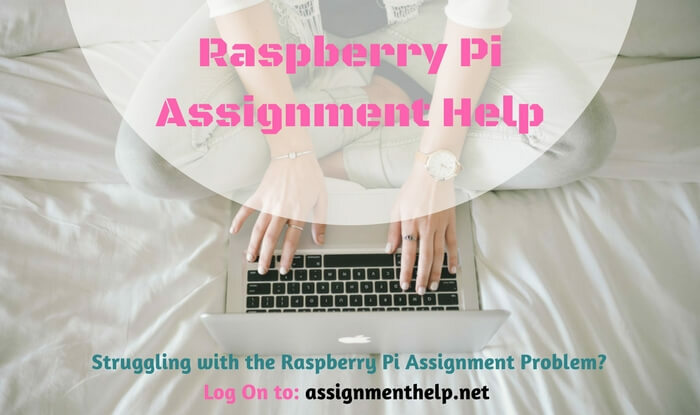 There are some of the paid courses also available which provide with a certification in the same and hence make people more efficient in writing and programming in raspberry boards. I would also like to clear the doubt that the maximum number of people have to look for is that when they connect their HDMI cable to the laptop, they are not able to see anything and this is because of the fact that the port in the laptop is not an input-output port but is only an output port and this is why the raspberry is not able to use the laptop’s screen. To solve the problem, one must connect the HDMI cable to either the monitor of a computer or a tv or the only way left is to use an ethernet cable and hence making a wifi network, connecting the laptop to the same. Here at assignmenthelp, we have experts who have years of industrial experience in the fields of electronics engineering and coding in python that they give an accurate and precise code whatever the problem is. We have the best rates in this area as compared to any other in the market because there is no competitor as good as us and hence it makes us stand out from the crowd.